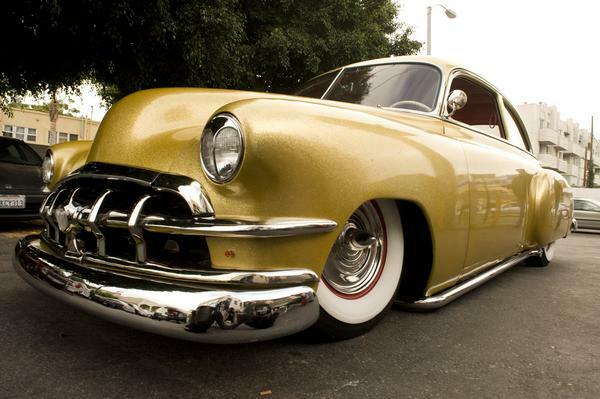 This is Kat Von D’s 1951 custom Chevrolet Deluxe. The chrome is perfect, the metallic gold paint is awesome, and the tail lights shaped as a heart make this car really unique. Love the center cap on the wheel that protrudes out and the white wall tires with red pinstripe.